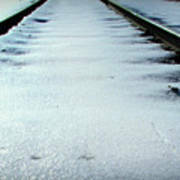 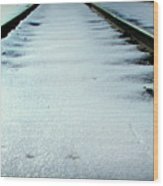 There are no comments for Winter Railroad Tracks. Click here to post the first comment. Snow covered railroad tracks at eye level.